The list of prisoners must be finalized before 5 July. The Tripartite Contact Group for the settlement of the situation in Donbas has agreed to complete the coordination of the list of prisoners and start the exchange process before the next TCC meeting slated for 5 July , Ukrainian representative in the group, former president Leonid Kuchma, told reporters on 22 June. "Some disagreements remain regarding the list [of prisoners] but the verification process is basically completed. 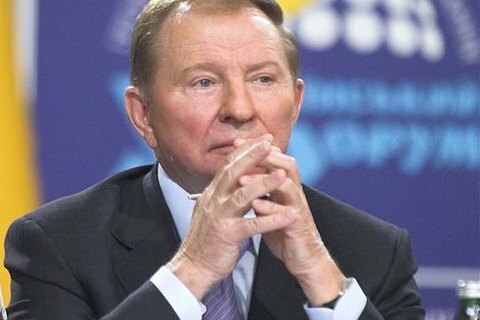 Everyone is content - and you know that one party has had reservations," Kuchma said as quoted by Interfax-Ukraine. He said "minor disagreements" concern 5–6 people in the prisoners list. "The Ukrainian side has no problems at all, while their list is 15 prisoners longer than we have to offer for exchange," he went on. The next meeting of the Contact Group is scheduled for 5 July. The number of Ukrainian prisoners held in the occupied territory of Donbas increased to 131 people as of 20 June. Meanwhile, "DPR" and "LPR" demand Kyiv to release almost 600 people. A verification process with the participation of international mediators established that none of the questioned prisoners had the desire to be returned to the occupied Donbas.